With any pay-per-lead affiliate program there’s always a risk of receiving fake leads, but the beauty of affiliate marketing is that merchants pay only for qualified referrals. With proper affiliate program management, ultimately, all phony leads result in reversals of affiliate payouts, but how do you prevent these? One way would be to pay attention to the affiliates’ promotional techniques as you review their profiles at the application stage. Let me return to the story with which I have started this post. 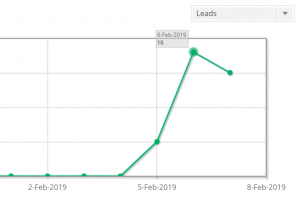 A couple of weeks after launching this new affiliate program, we registered a noticeable spike in the leads referred by affiliates. In affiliate marketing, any spike (in traffic, leads, sales, conversion rate, or anything else) should raise a red flag. It may not necessarily indicate fraud, but it does call for additional analysis. Reacting to the spike, we looked into it a bit more, and found out that all of these leads were referred by one affiliate (red flag #2). We also reached out to the client — for them to look into the quality of these 38 leads. The client replied quickly, notifying us that a large chunk of these were actually fake (red flag #3) with “John Doe” put into the name field, and other sure indicators of phony leads. While we were waiting on the client’s response, we studied the affiliate in a bit more detail. It turned out that, regardless of positioning themselves as a monetization platform, they were actually a classic rewards or loyalty affiliate. These incentives are given to the end-user in exchange for the desired action (on the business’ website). So, what happened in our client’s affiliate program was a fundamental dissonance between the affiliate’s primary technique and the merchant’s ultimate goal. The “rewards” component of the affiliate’s strategy resulted in misalignment between the end-user’s intent and the the merchant’s intent. As the above description (of the situation) shows, many of the forms were filled out in order to receive the promised incentive, and not because of the lead’s genuine interest in trying out the product. Bottom line: if you run a pay-per-lead affiliate program, be careful with incentivized traffic. Most of it may be of no good to you. Should you need any help with anything related to affiliate programs, contact us and we’ll be happy to assist. When setting up an affiliate program, one of the key decisions an advertiser/merchant has to make is what tracking method to use. Most present-day affiliate programs rely on a pixel embedded into the confirmation/”thank you” page. This (somewhat of an industry default method) is meant to close the loop between the initial end user click on an affiliate link and the end user’s reaching the thank-you-for-your-business page. The affiliate commission is then triggered by (and credited upon) the pixel firing at the moment the customer reaches their confirmation page. Postback tracking, on the other hand, represents a slightly more technically sophisticated of a method of crediting affiliates for the business they refer. Its essence is grounded in server-to-server posting, whereby instead of relying on the pixel firing, the conversion record (and consequential affiliate commission crediting) is triggered by the advertiser’s server passing the necessary data to the affiliate program’s platform’s server. Let me give you a real-life example. We have a client who employs two affiliate payment models within the same affiliate program: PPL (pay-per-lead) and PPS (pay-per-sale). The affiliate program is run on an affiliate network which supports both pixel-based tracking, and postback tracking. The advertiser in question is paying affiliates $X per lead when a referred user signs up for a free account, and (on top of the PPL amount) Y% of the sale amount, should the lead convert into a paying customer. For the PPL part this affiliate program relies on pixel firing on the confirmation page, whereas the PPS payout is posted (to the affiliate network’s server) by the advertiser once/if the sale occurs. While implementation of postback requires a higher level of technical expertise (than the simpler-to-integrate pixel-based tracking), it’s a method that is widely supported by affiliate platforms of all types: including all types of affiliate networks and affiliate software for in-house-based affiliate tracking/programs. “Pipe” symbol is a vertical bar as in | or ¦ but more frequently the former. A “pipe-delimited file” is a file in which each line of represents a record, and separate fields are divided by the pipe. This symbol then serves as a delimiter (or an indication of “the beginning or end of a data item”). The most common format in which delimiter-separated files are saved is CSV. It may seem a bit strange as “CSV” originally stood for “comma-separated values” but don’t let the file extension’s semantics confuse you here. It is very common that, instead of commas, colons or pipes are used as delimiters. One of the main reasons why CSV files are widely-used online is because “plain-text makes the data easy to import into any Spreadsheet program or database regardless of what type of computer or software program you are using” [source]. “Easy to import” they say, huh? However, the reality is that those of us who aren’t too technically savvy, may find the conversion of a CSV file into a digestible Excel format a challenging task… especially when you have to deal with a pipe-delimited original. Don’t despair! It is actually very easy to convert a pipe-delimited CSV into an Microsoft Excel file with columns. Excel will, actually, do all the “magic” for you! For my example I will use an “Affiliate Timespan” ShareASale report. If you already have the CSV file you wish to convert into Excel columns, just skip right to the next step. 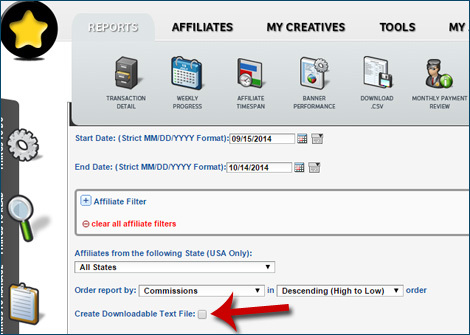 If you’re doing this on ShareASale, log into your merchant interface, then go to Reports > Affiliate Timespan, and check the box next to “Create Downloadable Text File” (see the image below). Launch Microsoft Excel, go to File > Open > change “All Excel Files” (to the right of the “File name”) to “All Files,” and find the pipe-delimited file you have just downloaded. Hit “Open” and Excel’s “Text Import Wizard” will launch. But in the 2nd step, pick “Other” and insert the pipe symbol into the blank box to the right of your choice (as shown below). As soon as you do so: Voilà! The preview will already show you the columns you are looking for. Just click “Finish” and you are all done, and ready to save this file in the format you’ll be able to enjoy a bit better than the original CSV file. Should Affiliate Programs Be Managed or Optimized? Are you managing your performance-based marketing program when you should be optimizing it? Great question, and as a speaker on this upcoming webinar I’d like to take an opportunity to touch upon this question in my today’s blog post. During the webinar, together with the legendary Todd Crawford, we will discuss numerous subjects starting from tracking-related questions (such as deduplication, cookie duration, and others) and on to reporting issues. We don’t have to agree on everything to have a fruitful conversation, and one of the things that I would argue today is that program optimization and program management aren’t, in fact, mutually exclusive. In my understanding, affiliate program management should be approached with several key tasks in mind. Initially outlined in my “Affiliate Program Management: An Hour a Day” book but also dissected in my recent Affiliate Summit presentation [see my slide deck here], I like to view these tasks as 5 central pillars of a healthy approach to affiliate program management. They are: affiliate recruitment, affiliate activation, compliance policing, communication, and … yes, optimization. 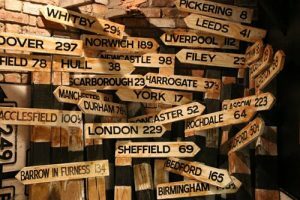 Working in the above-listed directions equips merchants with knowledge which, when used to craft practical strategy, results in building highly agile (and, therefore, competitive) affiliate programs. However, as mentioned earlier, when it comes to management versus optimization, it should not perceived as an “either… or…” question, but a “both… and…” situation. Affiliate program optimization is management, or, to be precise, one of the five key components of a holistic approach to affiliate program management. Of course, the “Comments” area below is wide open for your input/thoughts on the subject. With this being the very first post on a brand-new blog, I cannot think of anything better to devote it to than to the core subject of the blog. Since this website is fully devoted to all things affiliate management, let’s start right from affiliate management itself. Having worked as an “affiliate manager” since early 2000s, I have taken note of several different definitions of “affiliate management.” Here they are – together with the reasons why, in fact, they all represent nothing but misapprehensions about the subject. Approach #1: Affiliate management – the process of overseeing and managing affiliates. Flaw: By the very definition of the term, affiliates are independent, self-managed online marketers, generally not accountable to merchants for performance, and free to choose what affiliate programs to promote, and what programs to drop, what merchants to push more aggressively, and on what merchants to spend less effort. Approach #2: Affiliate management – the practice of supporting, supervising, and controlling the company’s relationship with its outsourced affiliate manager. Flaw: While the previous definition/approach aimed at going deeper than necessary safely possible, this is one is surprisingly shallow. No company should ever equate their “affiliate management” approach to mere vendor management. Handling vendor payments, reviewing their routine reports, and managing your contract with them has nothing to do with affiliate management. Approach #3: Affiliate management – the process of managing the company’s relationship with the affiliate network. Flaw: While, similarly to approach #2, this one equates affiliate management to vendor management, it may end up being even more disastrous than approach #1. Presuming that all you need to do is keep positive affiliate network balance, while the rest will be taken care of by the network can be deadly. The network’s job is provide you with the infrastructure for running your affiliate program. 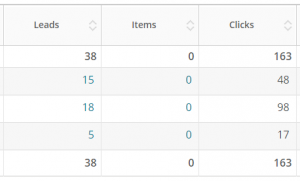 The rest (affiliate recruitment, compliance policing, and other affiliate management tasks) is extremely rarely included by default. Affiliate management – common shortening for affiliate program (or marketing) management, or organization and coordination of affiliate marketing activities of a business, as well as full support of its affiliate program with the purpose of equipping affiliates with the tools and knowledge they need to market the business efficiently. Since in most cases it involves management of a specific program, wherever possible/suitable I try to call it affiliate program management. It is also because of this that I included the word “program” in the very domain name of this website. Oh, and if you have something to add to the above, the “Comments” area below is all yours! I’d love to hear your thoughts too.